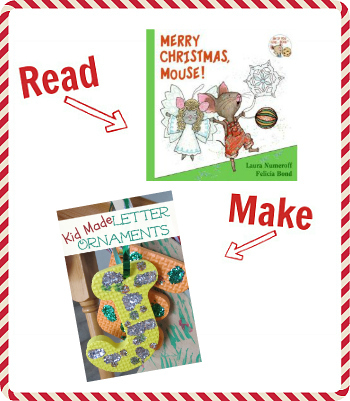 Are you ready for another Read & Make post? 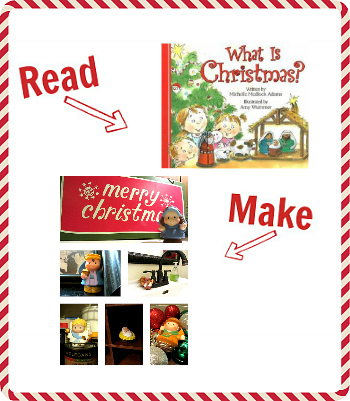 Enjoy this great collection of Christmas books!It is so much fun doing these because they bring together so many of my older ideas with newer books or vice versa. 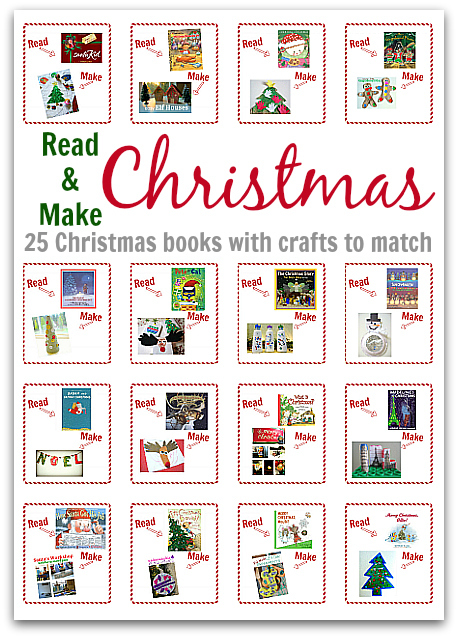 I love creating great resources like these list of Christmas books with crafts. Take this post to the library and grab whatever book they still have left on the shelf and know that you will have a great craft to activity to go with it. You’ll find about 60 Christmas crafts on the site so if you don’t see something rad here, check out our archives too. 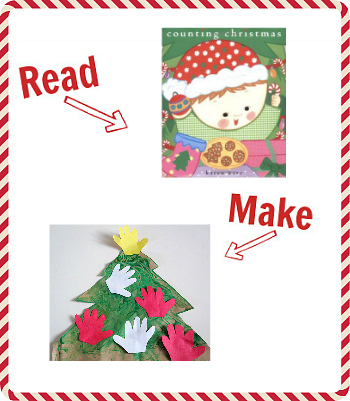 Each Christmas books with crafts pair includes a link to the full post for the craft or activity tutorial as well as a link to amazon.com for the book. I read and reviewed most of these books. Craft pairings work not only with the book but with its target age group as well. All book titles are affiliate links. 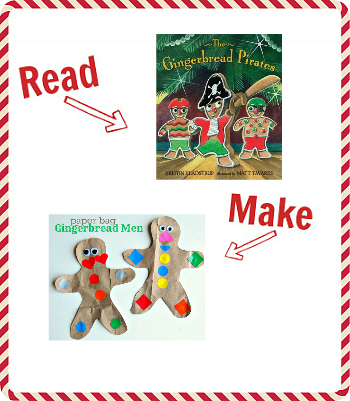 The Gingerbread Pirates by Kristin Kladstrup is the perfect book to go with our Paper Bag Gingerbread Men craft. 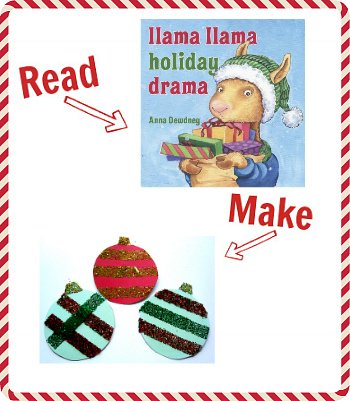 Our Mess Free Ornaments don’t need a lot of patience which is great if your child is like the little Llama in Llama Llama Holiday Drama . 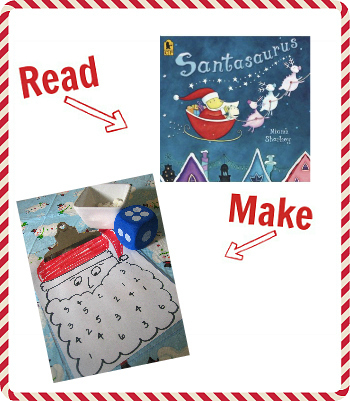 Santasaurus by Niamh Sharkey and our Roll and Count Santa Math Game will keep your kids busy and learning! The puppy makes tracks in the snow in McDuff”™s New Friend by Rosemary Wells. 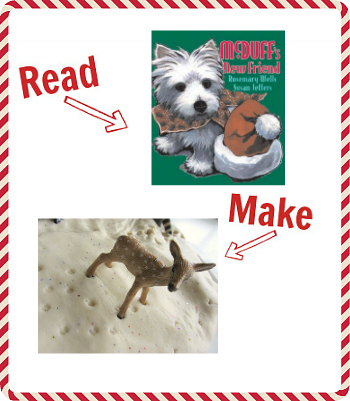 Let your child make their own with our Tracks In The Snow Playdough activity. 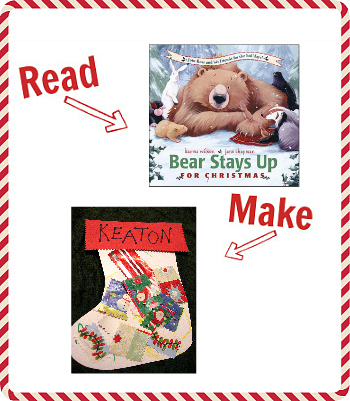 Bear Stays Up for Christmas by Karma Wilson includes all the traditional pre-Christmas activities like hanging stockings. These Scrap Paper Stockings can be hung up year after year. Play our Find & Fill Nativity Game and then read What Is Christmas? by Michelle Medlock Adams to further the lesson. This Handprint Christmas Tree was my daughter’s first craft. Counting Christmas by Karen Katz was one of her first Christmas books too. 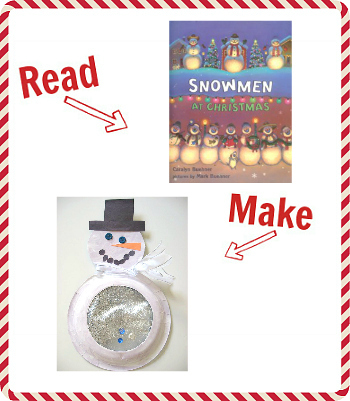 Our Snow Globe Snowman craft is a great match for Snowmen at Christmas by Carolyn Buehner . Create gingerbread men that don’t need to be baked with our Playdough Gingerbread Men. 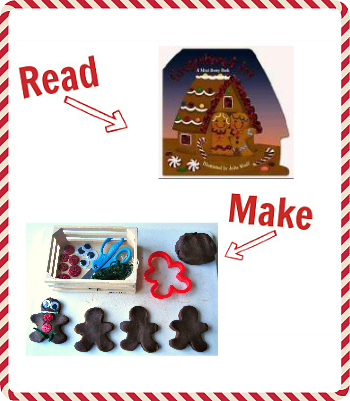 Then read Mini Merry Book: Gingerbread Joy by Julia Woolf. 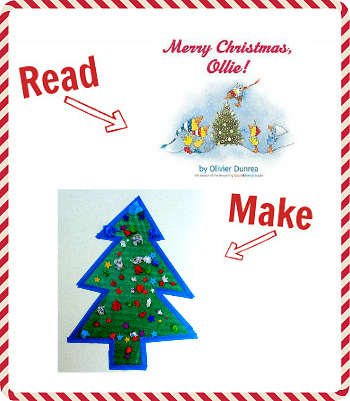 Merry Christmas, Ollie (Gossie & Friends) by Olivier Dunrea will be loved by your little one just as much as they will love the Sticky Wall Christmas Tree. 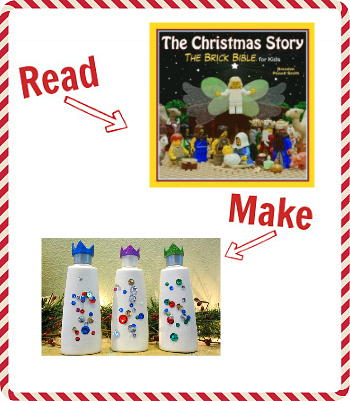 This Three Wise Men craft is even more meaningful when you read it with The Christmas Story: The Brick Bible for Kids by Brendan Powell Smith. 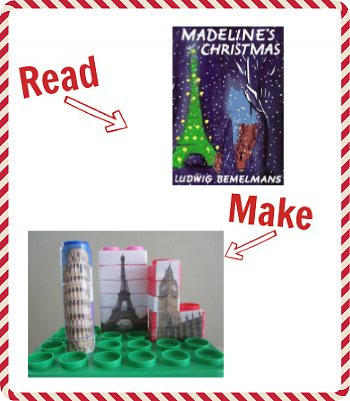 Madeline’s Christmas is set in Paris. While I don’t expect you to jump on a jet and take your kids there, you can imagine with your own Eiffel Tower and other Landmark Blocks. Count your way through Merry Christmas, Mouse! (If You Give”¦) by Laura Numeroff then make ( and count) these Letter Ornaments were a cinch to make and after many years they still look great. 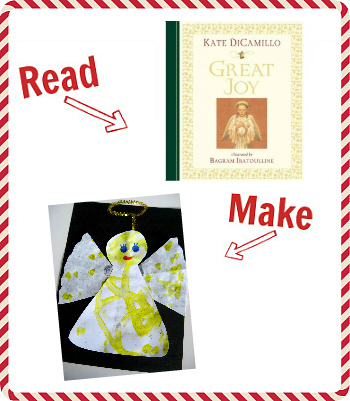 Great Joy by Kate DiCamillo is a touching book and it goes perfectly with this Angel Craft. 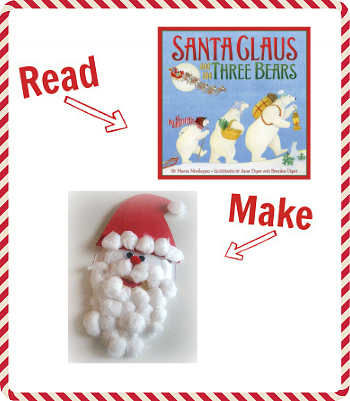 This Paper Plate Santa is just right, much like Santa Claus and the Three Bears by Maria Modugno . Elves don’t live in the toy shop. They need houses to live in! 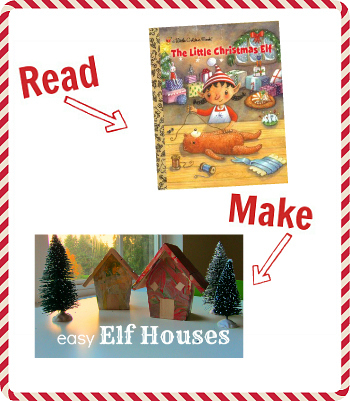 Create these Elf houses after reading The Little Christmas Elf (Little Golden Book) by Nikki Shannon Smith. 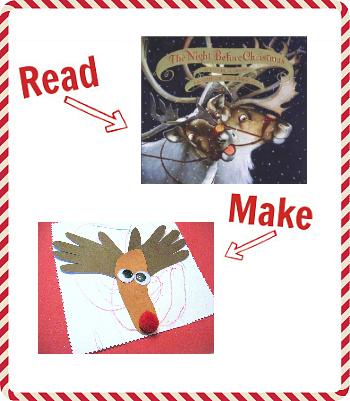 Read The Night Before Christmas by Clement C Moore and then create your own Handprint Reindeer , you don’t have to make Rudolf! 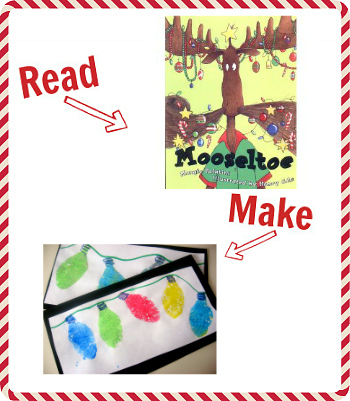 Mooseltoe by Marge Pallatini is a hilarious read that you can follow up with these Sponge Painted Christmas Lights. 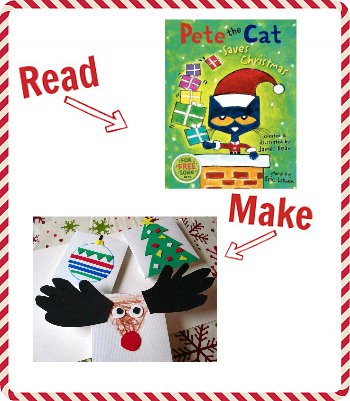 Pete the Cat Saves Christmas by Eric Litwin is a cute book about giving. Then, complete these cute kid made gift boxes after reading. 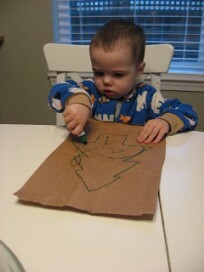 Even David couldn’t break this unbreakable ornament craft . After you read It”™s Christmas, David! by David Shannon, they are a perfect craft to make. 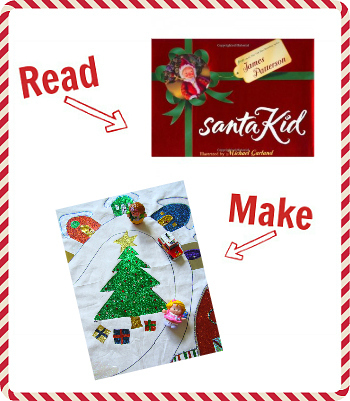 SantaKid by James Patterson is a great read to dive into the North Pole and a great addition to any North Pole play using this DIY playmat. 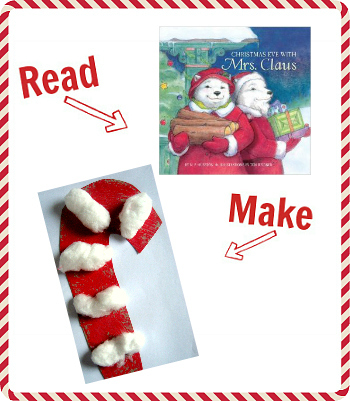 Christmas Eve with Mrs. Claus by M.P. Hueston is a sweet book about sweets and the perfect companion for this easy candy cane craft . 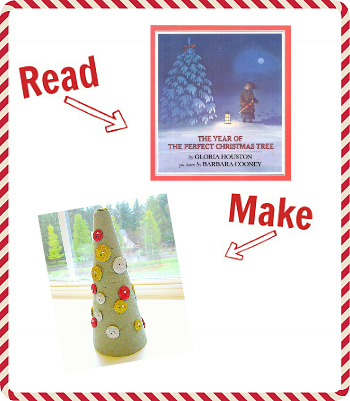 The Year of the Perfect Christmas Tree: An Appalachian Story by Gloria Houston is a great book for older children and this Button and Nail Tree is craft that they can really get into as well. 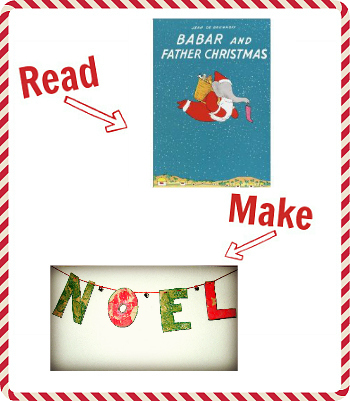 Read Babar and Father Christmas by Jean De Brunhoff then create this NOEL banner for a French celebration! 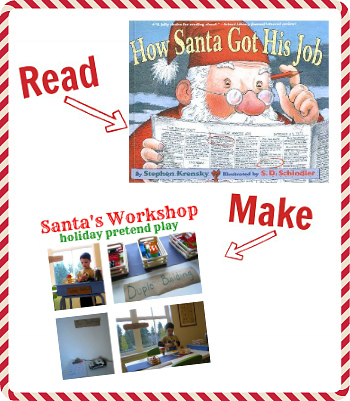 Last but not least, read all about How Santa Got His Job in this book by Stephen Krensky. 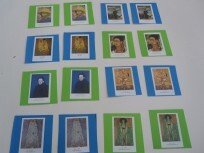 Then kids can test out the jobs for themselves with this Workshop play idea. What is your favorite Holiday tale? 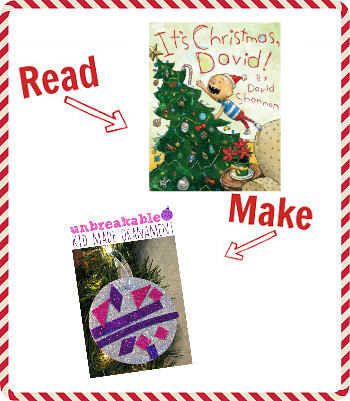 Share your ideas for pairing Christmas books with crafts! Wow, you can do these for an Advent Calendar with your kids … if you had the time!